There is more than one artist with this name: 1) Example is a rapper from Fulham, West London in the United Kingdom. 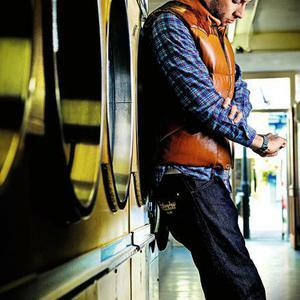 Formerly signed to The Beats label run by Mike Skinner (The Streets) Example's birth name is Elliot Gleave. According to the Kickstarts Songfacts, Gleave's performing name goes back to his schooldays when he was rapping in the playground and some guy nicknamed him Example from his initials EG. Example's birth name is Elliot Gleave. According to the Kickstarts Songfacts, Gleave's performing name goes back to his schooldays when he was rapping in the playground and some guy nicknamed him Example from his initials EG. -	Britney Spears on the Infamous Toxic Breath. -	He followed that in Sept 2007 with his official debut album, (released on The Beats) called "What We Made" produced by Rusher. which was received well by the British public. -	prior to The Beats disbanding. -	He then went on to release "What We Almost Made" May 2008 on All The Chats, which was a mixture of songs that didn't make it onto "What We Made" & new ones. -	After the release of "WWAM" Example took a fresh direction in style, and became very versatile and can cross over into several genres with ease. -	Towards the end of 2008, saw Example work with the likes of Don Diablo experimenting with Electro dance music. -	Which brings us nicely to "Hooligans" Example co single with Don Diablo, which blurs dancefloors with moshpits into one. released on 29/06/2009 is sure to be his biggest hit to date, getting regular plays on Radio 1, and by DJ's up & down the country. -	The Launch Party for "Hooligans" saw Zane Lowe who has championed Example on his Radio 1 show, support with a DJ set. -	His next Single after Hooligans, was called "Watch The Sun Come Up" which is came out in September and made its way into the Top 20. -	His next single was called "Won't Go Quietly", which was released on 17th January 2010. Example's Latest offering takes the form of his "Playing in the Shadows" album, released 4 September 2011 through Ministry of Sound. No colabs are featured on this album however a variety of producers have a noticeable influence on the sound and the album follows his previous move into the dance and electro genre. 2) Example is also an underground hiphop duo from Houston, Texas. Example consists of rapper: K and producer Cipher. They are signed to Beat Farm, where they released the Impulse EP back in 1997.